Which one of these are you guilty of ? Its the beginning of a new year – so in today’s blog post I would like to focus on a fundamental & yet critical mistake that more and more companies are making. 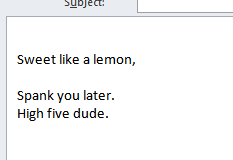 Namely : The Email and its Signature. 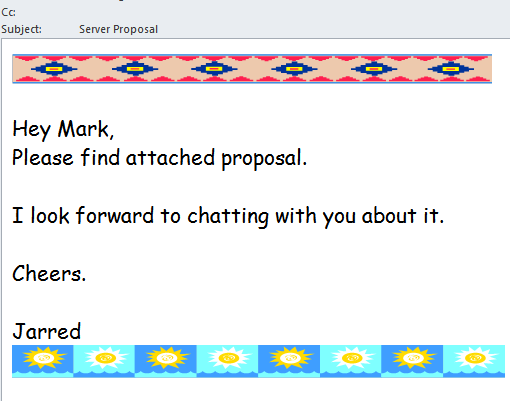 Mail clients such as Microsoft Outlook have evolved over time to allow its user to send pretty and colourful emails with backgrounds, images, and wonderful whimsical fonts. Whilst looking fantastic (in the eyes of the maker), here lies the problem. Email is the primary form of communication between you and your customer. 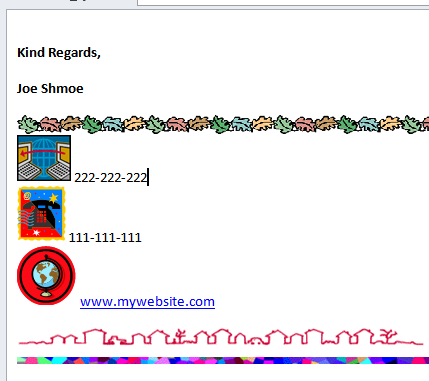 How can your customer take you seriously when the email he has just received looks like something his child did in playschool ? 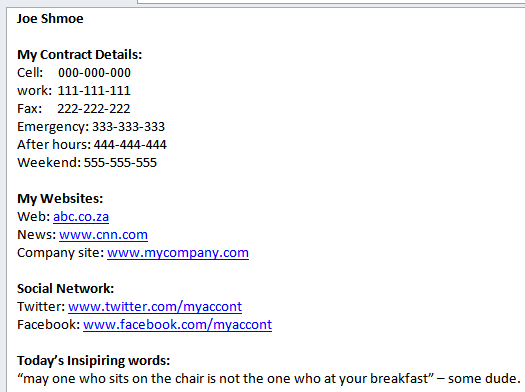 Case in point: an Email we received from a company looking to sell us new equipment totalling over R450 000 (approx. $65 000) ! 1. Top and bottom Graphic – what on earth is that ? This company sells Servers not woven carpets . 2. “Hey Mark” – this is not a friend. We are potentially a new customer. “Hey” is not an appropriate professional opening line. 3. “Cheers” – eh…once again not appropriate ending of line. 4. The Font – the name of the font should give you a clue that it is not appropriate for work “COMIC” sans MS – out of all the hundreds of fonts, this was the one chosen to use ?? 5. 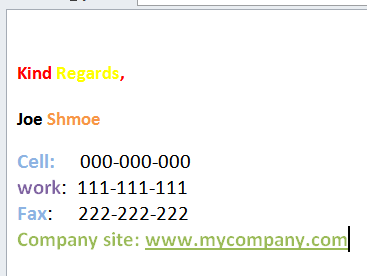 Contact information – where is it ? How do I get in touch with the company to ask questions, place my order etc. Its pretty simple – if I can not call you, you can not get my business. I particular love the Email Signature that I see and it amazes me to see how often these simply miss the point of the signature. This person includes every bit of communication known to man. Their signature stretches for miles and miles and my personal favourite – the “Quote” at the end of their mail. This person loves his/her graphics and wants to make every email pretty so that you can enjoy their marvellous work of art. This person likes to change their theme weekly and loves to include the current holiday graphics such as pumpkins on Halloween and snow at Christmas. This person wants to be seen and noticed. The like to use bold colours and love their RED, BLUE, YELLOW, ORANGE and GREENS. Bold is their favourite button on the keyboard. This person doesn’t understand what the big fuss is all about. Their signature says it all and believes that people must just work it out for themselves. Also, don’t assume that we all live in the same city and country. Include the country code and city code so that when we get your mails on our mobile phones, we can actually click on the number and call you ! In other words: make it easy for your customers to get in touch with you ! If you are one of the above personalities – please please please – for the sake of your business and everyone’s eye-sight. Please make it a New Years resolution to change.